How Did James Clapper, Obama’s Intel Chief, Not Know About a Major Bomb Plot? Obama’s top intelligence officer admitted to Diane Sawyer he did not know about a major bomb plot busted in the U.K. this week. 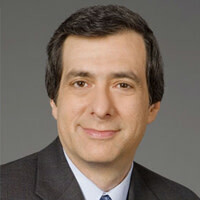 Howard Kurtz on the administration’s baffling spin. The White House is engaged in some awkward damage control today after its director of national intelligence had to learn about the London terror arrests from Diane Sawyer. Cable television has jumped on the embarrassing episode, reported by The Daily Beast Tuesday night, and the administration’s spin has been somewhat contradictory. In the ABC interview with Sawyer—taped Monday at 4 p.m., hours after news of the arrests was all over television and the Web—James Clapper appeared unfamiliar with the arrests. The interview was shown Tuesday tonight on World News. "First of all, London," Sawyer said. "How serious is it? Any implication that it was coming here?... Director Clapper?" After a long pause, a puzzled-looking Clapper said: "London?" Chief counterterrorism adviser John Brennan, who was part of the interview along with Homeland Security Secretary Janet Napolitano, had to jump in and explain the arrests. Sawyer gave Clapper another chance later in the interview. For the president’s top intelligence officer not to be intimately familiar with the case—and not to have been briefed before a network interview—is stunning. It inevitably calls to mind the moment during Hurricane Katrina when FEMA’s Michael Brown was unaware during a Nightline interview of deteriorating conditions in Louisiana’s Superdome, despite constant news reports that day. “Don't you guys watch television? Don't you guys listen to the radio?” Ted Koppel asked. Ambiguous? Multidimensional? That, in journalistic terms, is known as a non-denial denial. After that lame excuse about Sawyer's question being ambiguous, the national intelligence office acknowledged the obvious Wednesday. “Director Clapper had not yet been briefed on the arrests in the United Kingdom at the time of this interview taping,” his office said in a statement.